Virtuoso Booking Tool – Updates for an Even Easier Booking! The Virtuoso Booking Tool gives you the ease and convenience of online booking. Through this tool, you can book your own hotel stay via Virtuoso and enjoy all of the same VIP perks as an Ourisman Travel Client. All you have to do is sign on and identify Ourisman Travel as your Virtuoso Advisor. Once you make a booking, we get an alert, and we will follow-up with the hotel as part of our usual VIP hotel booking process to make sure your stay is as enjoyable as possible! Make sure you are signed in or have created a log in account! If you don’t have an account, it will prompt you to “contact your advisor”. The Virtuoso Booking Tool is not mobile friendly. In order to successfully book through the tool, you must book from a desktop computer/laptop. “View Total” dropdown option to view nightly rates, taxes and total (without leaving the hotel page). You can now change the currency on the hotel page. You can learn more about the Virtuoso Booking Tool through our blog outlining how to use the tool. Don’t forget to bookmark our Virtuoso online booking tool for your hotel-only travels! And of course, if it prompts to “contact your advisor” please do reach out to us! Posted in Travel Industry and Ourisman Travel	| Tagged protips, Virtuoso	| Comments Off on Virtuoso Booking Tool – Updates for an Even Easier Booking! The Luxury Hotels of Indonesia are as diverse, beautiful, and breathtaking as the country itself with dramatic landscapes and a unique culture that draws travelers from all over the world. 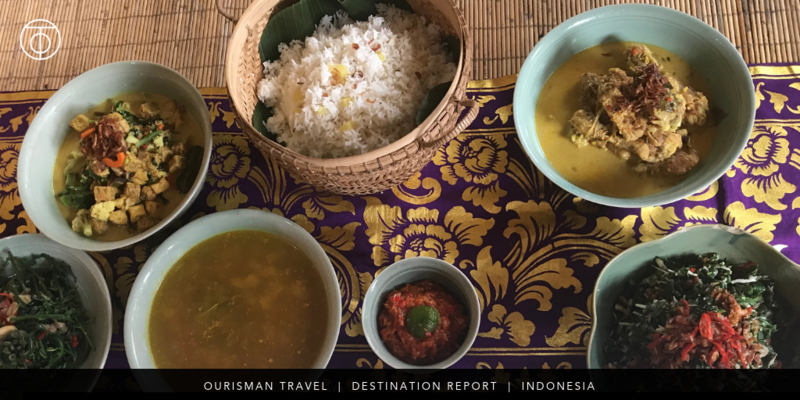 The country is heavily invested in tourism and, even at the high end of the spectrum, it can be hard to decide which of the luxury hotels of Indonesia are right for you. Through our partnerships, we have a wide range of hotels for our clients to choose from and are fortunate enough to have had team members do sight inspections at many of the hotels in Indonesia. To start, there are 16 Virtuoso hotels located throughout Indonesia, plus 17 additional luxury hotels that are affiliated with similar hotel luxury programs such as Belmond Bellini Club or Ritz-Carlton STARS. All of these luxury hotels can be discovered on six islands throughout Indonesia – Java, Bali, Komodo Island, Moyo Island, Sumba, and Bawah. Let’s start with Java! Angela, our team member who most recently traveled to Bali, insists that any trip to Indonesia should start on the island of Java, which sandwiched between Sumatra and Bali. Home to the city of Jakarta in the northwestern part of the island, Java is the most populous islands in the world. 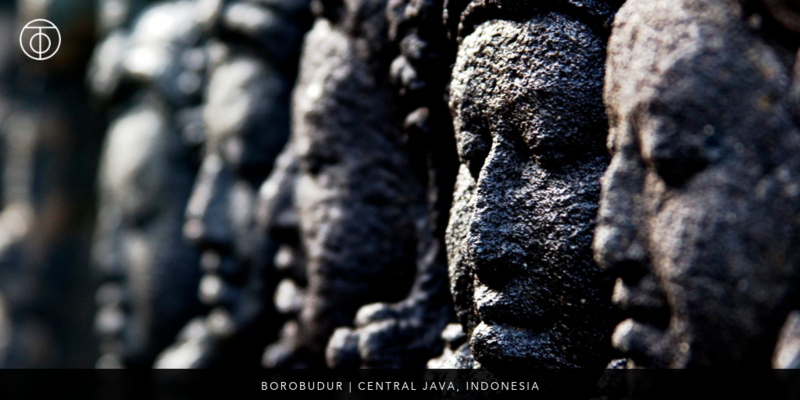 There is plenty to see and do in the city of Jakarta, but when we are thinking of Java for our clients, we are likely talking about Central Java and the famous Buddhist temple of Borobudur or its Hindu neighbor, Candi Prambanan. 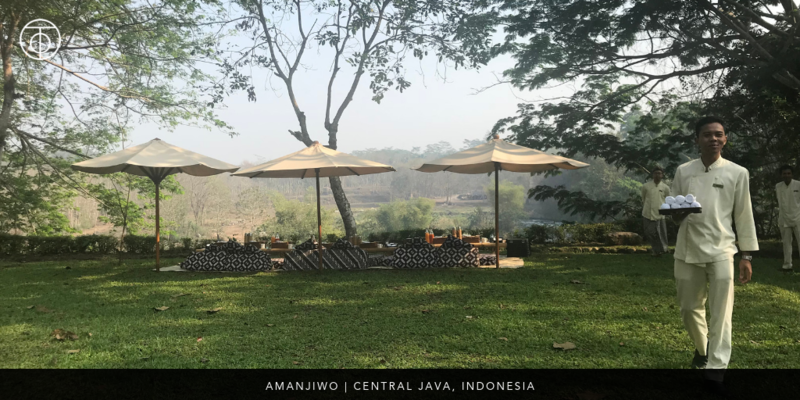 For our luxury travelers looking for cultural immersion mixed with pampering and R&R, Amanjiwo is the best place to stay. Next stop for luxury hotels in Indonesia is everyone’s favorite – Bali! There are seemingly endless options on the island of Bali and with 23 to sift through, the task of finding the perfect one can seem a little daunting, which is where we are more than happy to step in and provide some consultation to guide your decision! 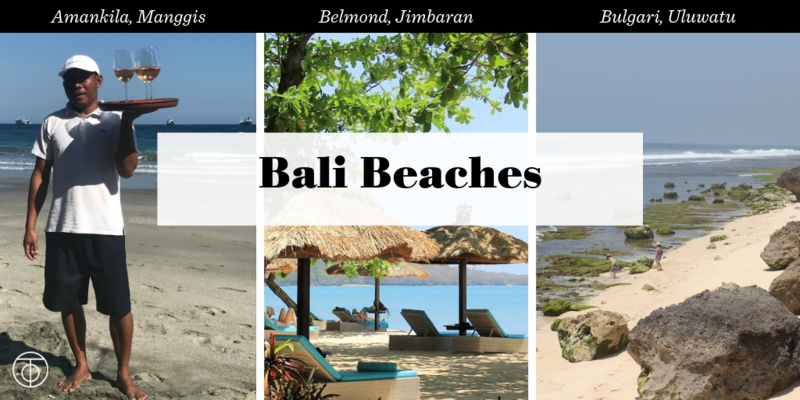 Within Bali, you have the option to explore Ubud, Jimbaran Bay, Nusa Dua, and more! 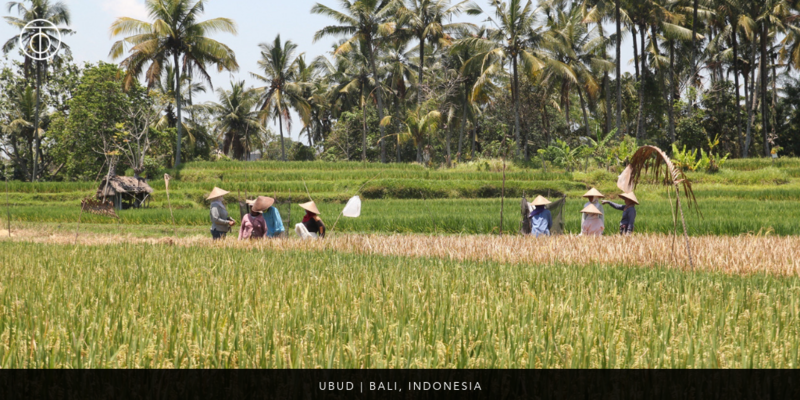 We recommend, beginning your time in Bali in Ubud where you have the best opportunity to develop an understanding of the Balinese culture and geography. We can help you pick the best hotel tailored to your budget and style, in addition to pairing your accommodation with activities such as exploring local markets, shopping and more! Nusa Dua = best beach for swimming: This area is very peaceful and exclusive while still boasting a good variety of dining/shopping options, but some people will complain that it feels less authentic or too generic for their tastes. Here, we recommend the St. Regis (contemporary in style, but the beach is fantastic) or the Ritz-Carlton (large in size, but very family oriented). Jimbaran Bay = charming and quiet: nice wide beaches with calm water and charming villages. It is less crowded, but that also means there is less going on. You can travel 45 minutes to Seminyak or 30 minutes to Nusa Dua for more dining/nightlife, so this is a good central location if you want to explore multiple beaches during your stay. Here, we like the Four Seasons, which has 147 hillside villas and a great sense of place, but some people don’t like having to walk or take a buggy down to the beach. Our favorite “hidden gem” in Bali, especially when you are looking for the best value is the Belmond Jimbaran Puri, which has more convenient beach access and is more moderately priced and sized than the Four Seasons with only 63 villas. Seminyak = lots to do: this beach is less swimmable and better for surfing, but the beach is nice and wide with lots to do including good beach clubs, dining, and shopping. Our preferred hotel in Seminyak is the Oberoi. For a more moderately priced option, you may also consider the W hotel. Uluwatu = clifftop views: If beach isn’t important, look to Uluwatu for dramatic views perched above the sea on steep cliffs. While there is a narrow beach, it is not swimmable. The sunset views are totally worth it, though! At Uluwatu, we recommend the Bulgari Bali for a true 5-star pampering experience. Alternatively, we also like the Alila Uluwatu Villas. Manggis = a little more off the beaten track: head northeast from the airport by about an hour and you will find a quiet region with traditional farming and fishing villages with local artists practicing the traditional arts of weaving, textile printing, and salt making. The black sand beaches are remote and exotic and a perfect place to go if you are looking for total privacy. Here, we like Amankila and we recommend adding a dose of adventure with a boating and snorkeling excursion. The Alila Manggis is a good, budget-friendly alternative. Next stop? Take your pick of three islands – Komodo Island, Moyo Island or Sumba. 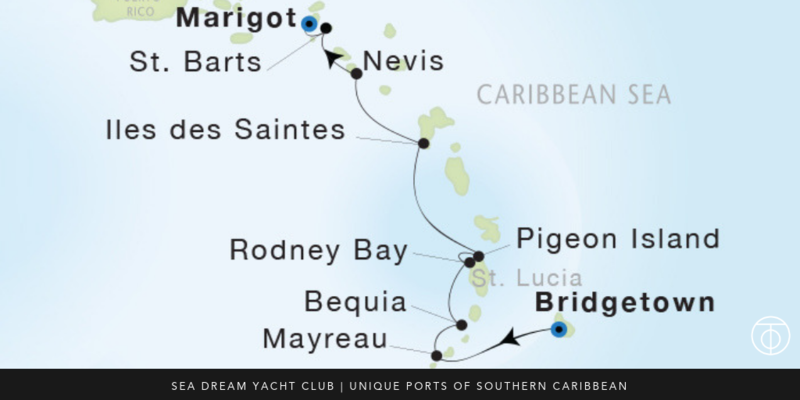 Or, charter a sail boat and see multiple islands in one itinerary! The luxury hotels of Indonesia have a far reach and you can even be pampered on islands further afield with a greater sense of adventure. These islands are the perfect destination for divers and snorkeling and each island also offers exclusive, adventurous and one of a kind activities! Indonesia is more than Bali! Indonesia is home to over 17,000 islands, where only 6,000 are inhabited by people. Throughout the islands you are bound to see at least one volcano, on the ground or in the air! When should you plan to go? The best time to travel to Indonesia is June through October, the best months being June or September because the days are dry & sunny with a consistent & comfortable temperature of around 80 degrees! The government of Indonesia recognizes a handful of religions; the most popular being Islam, Hinduism and Buddhism. They are very culturally diverse with their own customs and religions, yet extremely respectful of each others’ beliefs. Traveling to Indonesia offers such a wonderful example of how religion can differ between neighbors but be culturally accepted, which is often a rarity. 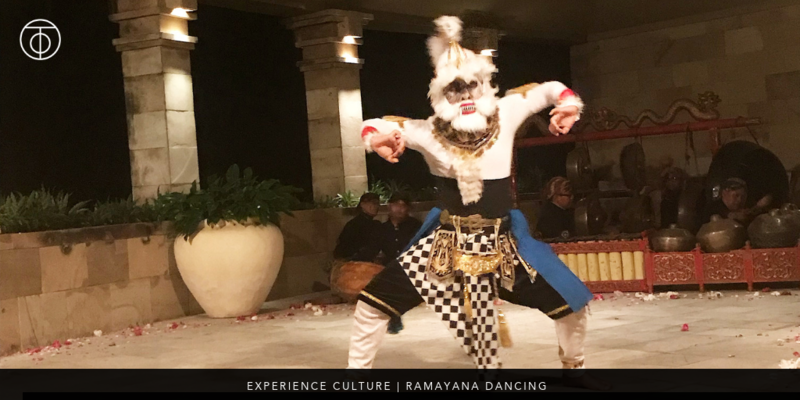 This harmonious culture really is something to experience for yourself; it is so moving from a spiritual and humanitarian standpoint that most travelers come away with a better understanding of not only the many cultures and religions of Indonesia, but of themselves and their place in the world as well. We have luxury hotel partnerships on five islands in Indonesia – Java, Bali, Komodo Island, Moyo Island and Sumba. Click here to see our Virtuoso partner hotels (and even book them online – read more about how to book online with Virtuoso here). One of our favorite partners in Indoneisa is Aman. 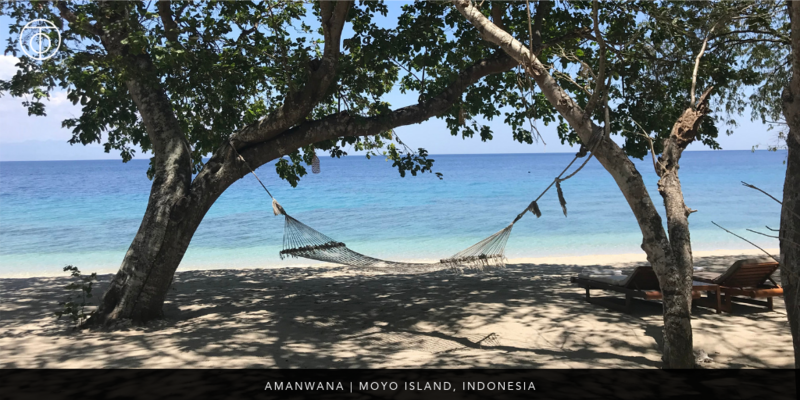 Aman has an extensive collection throughout Indonesia; Java being home to Amanjiwo, Bali being home to Amandari, Amankila and the Aman Villas at Nusa Dua, and the remote island of Moyo is home to the luxury tented camps at Amanwana. The landscape of Indonesia is perfect for the aesthetic of the Aman brand it is clear to see why Aman has invested so heavily in Indonesia. There’s an island (or five!) for everyone in Indonesia… let us help plan your dream vacation at the perfect luxury hotel for you with customized day trips and tours tailored to your desires! For a quick and easy way to reach Team Ourisman, fill out a Travel Request Form! The 2019 luxury hotel openings are some of the most exciting we’ve seen in many years. This is shaping up to be a banner year for our partners world wide! With so many new luxury hotels opening in 2019, we want to take a moment to highlight some properties that we are especially excited about. First up is the Four Seasons with six incredible properties opening and reopening in 2019. We love the Four Seasons brand and our clients do too! The Four Seasons Lanai is already one of our favorite properties & Jessica’s favorite of all the Four Seasons resorts so the re-opening of its sister property is something Team Ourisman has been looking forward to. The property closed in 2015 to undergo a $75 million dollar overhaul that would shift its focus to relaxation and wellness. Look for the resort to open its doors in early 2019. 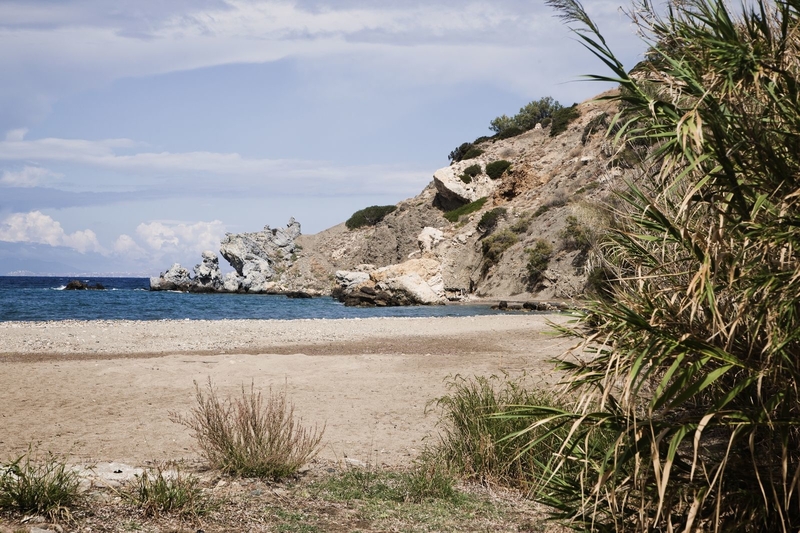 With Greece quickly becoming one of the most popular tourist destinations in the world, it makes perfect sense that the Four Seasons brand would set its sights on the Mediterranean country. 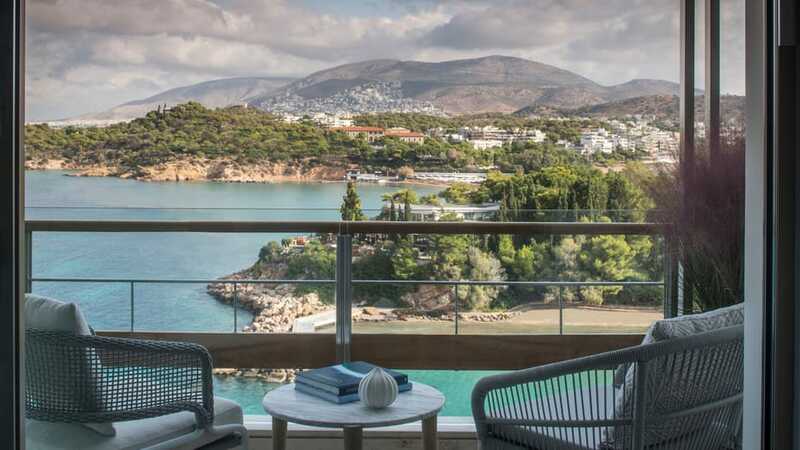 The Four Seasons has been extensively updating the iconic Astir Palace, located along the Aegean shoreline, which has long been a destination in and of itself for luxury travelers. The Four Seasons Astir Palace Hotel Athens is now accepting reservations and will have its grand opening March 29, 2019! Boston has long been a destination for American history enthusiasts and business travelers who will soon be able to stay at the Four Seasons’ new modern hotel located in Boston’s Back Bay area, walking distance to the city’s famed shopping on Newbury and Boylston streets as well as Fenway Park and the cities many concert halls and art museums. This property is perfect for those who want to explore a classic American city without sacrificing high end luxury. Look for this new hotel to open in early 2019! Continuing their trend of opening hotels in historic & business centered American cities comes the new Four Seasons Hotel Philadelphia. Located in Philadelphia’s tallest tower all 219 rooms, and the indoor infinity pool, will feature unobstructed skyline views. The hotel is slated to open mid 2019! While Napa Valley certainly isn’t wanting for more 5-star, ultra luxe resorts, this new Four Seasons property is already showing some serious competition. Cabernet Sauvignon fans are sure to be delighted by this property as it is set on a Cabernet vineyard and has a winery onsite. Even the most seasoned wine aficionado is sure to be impressed by this new, rustically luxurious hotel that is set to open mid 2019! This property is particularly exciting as it is the brand’s first marina resort. Situated on two miles of pristine private beachfront on the Baja Peninsula, this resort’s contemporary design is just one of the many reasons it is soon to become a fan favorite. 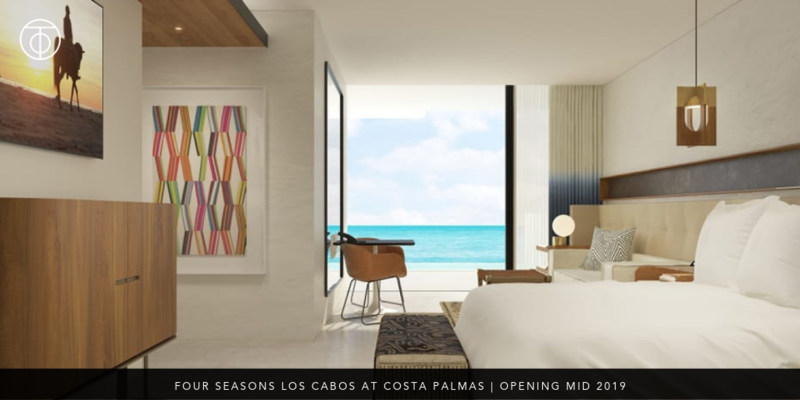 All of the resorts 145 rooms will have views of the Sea of Cortez. With access to the marina, yacht cruising, snorkeling excursions and deep sea fishing are all on the table, with many other beach focused water sports to fill your sun soaked days. Look for this beautiful hotel to open its doors in mid 2019! 2019 Luxury Hotel openings are going to keep us particularly busy in Hawaii. In addition to the Four Seasons Lodge at Koele, we’re also excited for the reopening of Mauna Lani Bay, An Auberge Collection Resort. When the Mauna Lani Bay Hotel first opened its doors in 1983 it brought a new wave of luxury travelers to the Big Island. Now, nearly 40 years after its original opening, the hotel is set to reopen after a massive renovation at the hands of the Auberge Resorts Collection. The complete overhaul began in October of 2018 and aimed to bring the once ultra luxe hotel back to its former glory while redefining guest experience. Additions and updates include an adults only infinity pool, redesigned family pool, new signature suites with ocean views & a 5,000 square foot fitness center. The property will definitely have the Auberge’s signature “barefoot luxury” feel as well as its non-obtrusive, high touch service. Add this incredible hotel to your bucket list as it reopens in December of 2019! The Belmond Cadogan London already an icon of the city & will become Belmond’s first property in London. Built in 1887, Belmond has worked hard to upgrade the property while maintaining the architectural integrity of the building. Located between the ultra-high-end Kensington area and the more artistically leaning Chelsea, this property boasts one of the best locations in London. Along with the reopening of this London landmark, the Belmond brand will also take over management of Durley House, a collection of 15 private residence-style townhouse suites located on the same block as the hotel. Durley House is also undergoing a massive renovation and guests will be able to make use of all of the Cadogan London’s facilities. The Cadogan London & Durley House are set to open in early 2019 after nearly two years of renovating. Be on the lookout for a site inspection blog from David, who will be visiting the properties this January. 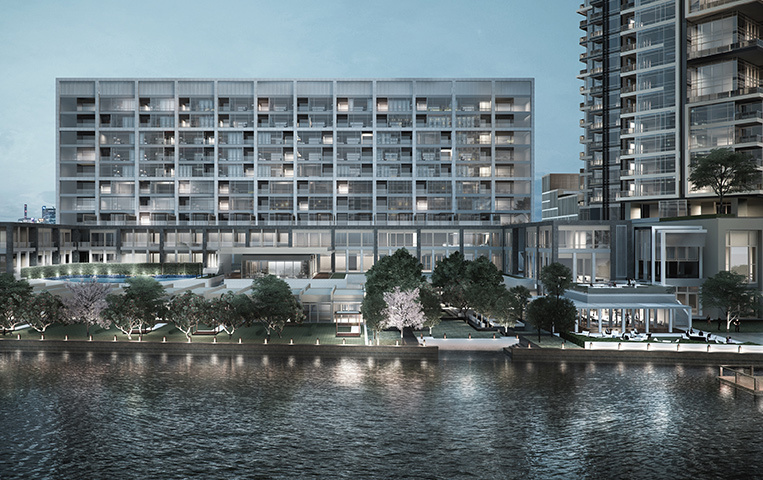 Of all the 2019 luxury hotel openings, we may be most excited for the opening of the Capella Bangkok in May 2019. The first urban resort to open in Bangkok, the Capella is fully embracing the high energy of the city. Located on the banks of the Chao Phraya River and taking full advantage of the river views, this hotel will be a true oasis in the city. With an outdoor pool surrounded by tropical gardens and the signature Capella Personal Assistants attending to guests’ every need, this property will quickly become a must see in Bangkok. Several of the accommodations will boast sky gardens and outdoor living spaces, which is a rarity in Bangkok. This property is also slated to become a foodie destination with cuisine overseen by Chef Mauro Colagreco and if it is anything like his restaurant Mirazur in the South of France it is sure to start raking in awards shortly after it’s debut. While you wait for the hotel’s doors to open in early 2019, check out our blog highlighting the Capella brand and our partnership. The opening of the Singita Kwitonda Lodge & Kataza House Rwanda is particularly exciting for our own safari addict, Jessica, but all of Team Ourisman is thrilled about this new property located on the edge of Volcanoes National Park, which is home to an estimated 320 mountain gorillas. Singita is known for seamlessly blending the adventure of a safari with the comforts of a luxury hotel and this new property will be no exception. However, the major draw is access to gorilla trekking, which is more often than not a physically demanding experience – making the luxurious accommodations at the Singita Kwitonda Lodge & Kataza House even more enticing. Be on the lookout for this new lodge to open in August 2019. Reach out to us for more information on planning a Gorilla Trek and how to build an experience around this one of a kind property! The reopening of Raffles Singapore has the luxury travel industry waiting with baited breath. 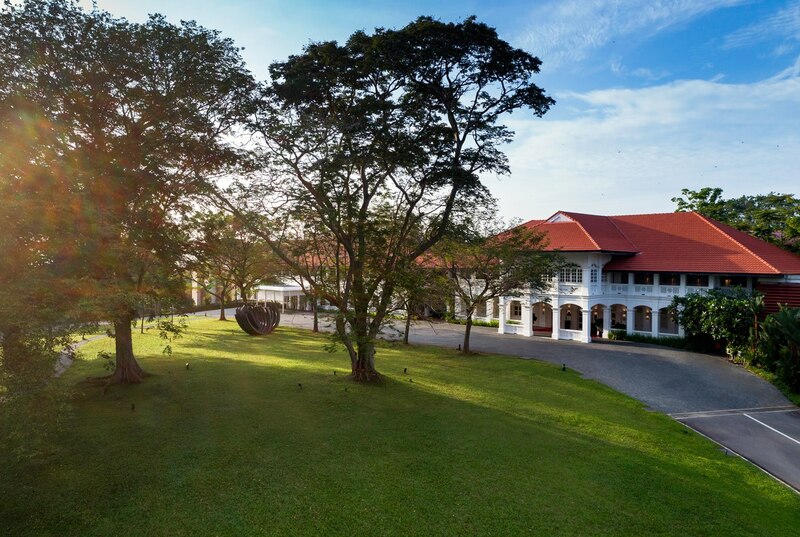 The flagship property for the Raffles brand has been closed since December of 2017 for a major historic renovation of the colonial style property built in 1887. The hotel is truly iconic in both the design and the cultural influence it has had in Singapore – the Singapore Sling originated in the hotel’s Long Bar. The renovation aims to maintain the original charm and ambiance of the hotel while making the necessary updates to meet the needs of the modern traveler. This highly anticipated reopening is set for mid 2019 and is sure to blow even the most seasoned luxury traveler away. Be sure to check out the restoration gallery as you wait for the doors to reopen! With the opening of the Rosewood Hong Kong comes a new level of luxury in this incredible city! Located in the Victoria Harbour of the Kowloon waterfront district, this impressive skyscraper that houses the property’s 91 suites looms large over its neighbors, giving its guests spectacular views of the harbour. The suites will be among the most spacious in Hong Kong, starting at 53 square meters (about 570 square feet) which will be incredibly comfortable for travelers used to larger room sizes. All suites will feature butler service and Manor Club access. Perhaps the most interesting element though is the Ladies Only Speak-Easy where guests will have to specifically invite their male companions if they want them to come along! This new and exciting hotel is set to open March 2019. 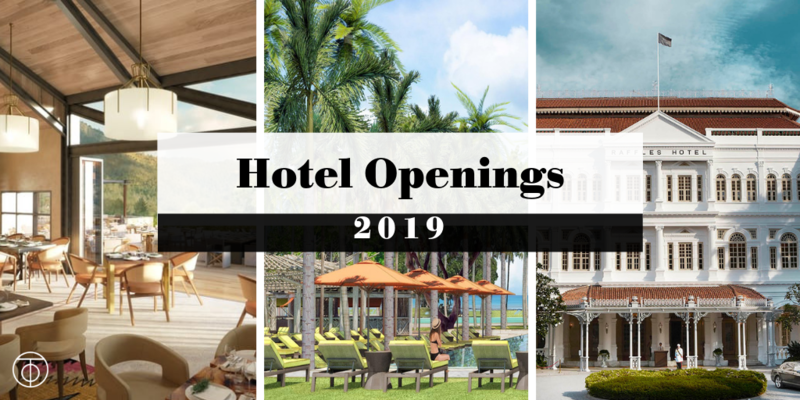 Which 2019 luxury hotel opening are you most excited about? Did we leave anything off the list that you think should be on our radar? If you want to be the first to experience any of these hotels, be sure to reach out to Team Ourisman to start making plans. Use our Travel Request Form to make a quick and easy inquiry! Virtuoso Voyages is an innovative program that offers our clients complimentary benefits on some of the world’s finest cruise ships. When you book a Virtuoso Voyages cruise through Ourisman Travel, you’ll receive a cache of perks, which can include dedicated hosts, welcome cocktail receptions on the ship, onboard credits, and exclusive shore excursions and experiences. Float past castles along a European river while sipping an espresso on your private balcony, become a wildlife expert on an expedition ship, or pamper yourself with an indulgent spa day. But that’s just the beginning… While the mega-vessels are truly marvels of modern engineering, and it can be fun to get lost in all the bells and whistles of a floating city, we like to focus on the cruises that offer an intimate environment with creative itineraries and polished, personalized service. Picture Perfect Moments: Learn to enhance and take the best pictures of your adventures by partaking in Lightroom and photoshop classes offered in the fully equipped Photo Studio aboard Silversea Silver Cloud. 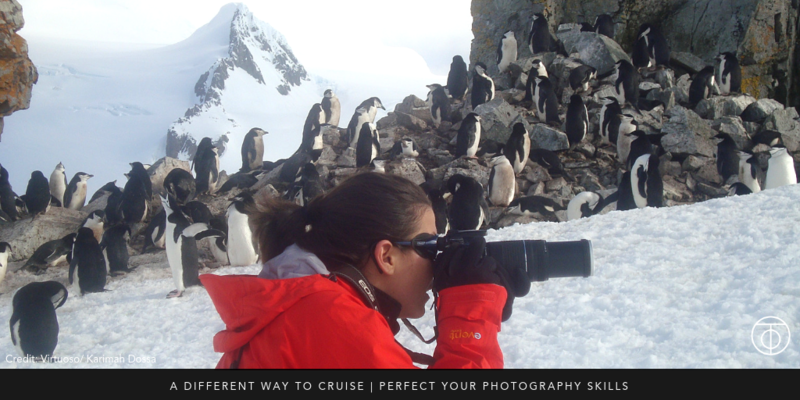 Or, get some pointers from a National Geographic certified photo instructor on a Lindblad expedition cruise. Your upgraded photography skills will be the best souvenir of the trip. Cooking classes: Visiting new destinations and learning about new cuisines can be so inspiring. Anyone who already loves to cook will want to head straight to the kitchen to begin experimenting with new ingredients and techniques. Now, you can do that before you even return to your own home kitchen. 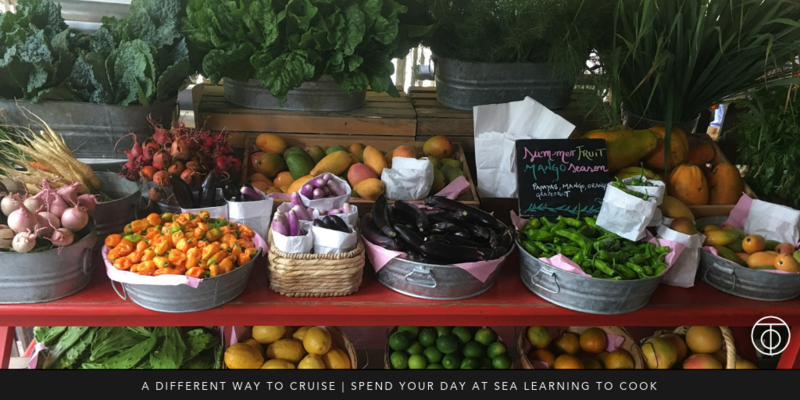 Silversea has a series of sailings in partnership with Relais & Chateaux Ecole des Chefs, Oceania Cruises has an onboard culinary center on the Marina or Riviera ships, and Regent Seven Seas hosts a cooking institute in their culinary arts kitchen on the Seven Seas Explorer. With these culinary experiences, you’ll be able to return home with inspiration and know-how. Why should you book your cruise with us? As a member of Virtuoso, we grant you access to the innovative cruise program, Virtuoso Voyages, which offers complimentary benefits on some of the world’s finest cruise ships. When you book a Virtuoso Voyages cruise through Ourisman Travel, you’ll receive a cache of perks, which can include dedicated hosts, welcome cocktail receptions on the ship, onboard credits, and exclusive shore excursions and experiences – such as a private car and driver in certain ports. We can help you find a destination and date that work best for you and create a one-of-a-kind itinerary to add special experience before, during, and after your cruise. Where will you sail next? 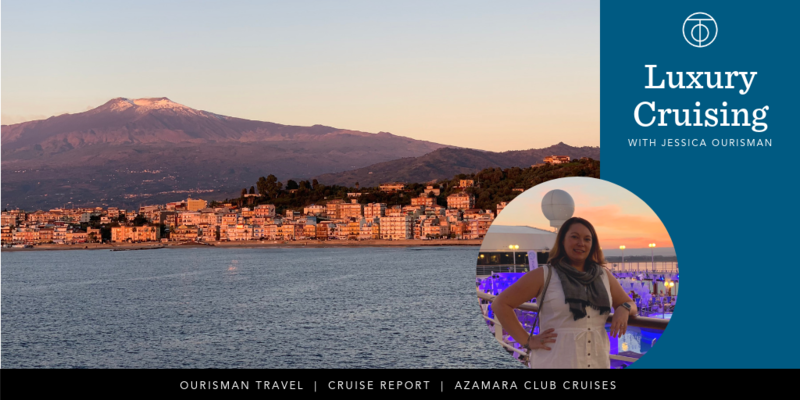 Be sure to contact Team Ourisman to make sure you get the best value on your next cruise vacation. Keep up with your workout routine: That’s right, you can still get your daily cardio in during your travels! These days, cruise lines offer a wide array of group fitness classes, full gyms, and 1-on-1 coaching with dedicated wellness hosts. River Cruises are a great option when you want to stick to a fitness routine; many of our river cruise partners keep a stable of bikes on board and offer itineraries that allow guests to bike from port to port! We all live in a yellow submarine- Explore marine life from inside a submarine! Crystal Cruises offers this amenity, along with several others! Bring your pet: Don’t want to leave Fido behind? No worries, cruise lines are providing onboard kennels, such as Cunard’s Cruises, so your furry friend can enjoy the adventure as well. Pamper yourself: with Virtuoso benefits, you can enjoy credits to use at spas onboard the ship! Get a massage and find complete relaxation. Cultural Ceremony Experience: Looking for a true cultural immersion? Take part in a blessing ceremony for your anniversary in Polynesia! Education series- You may be on vacation, but keep that brain working by participating in conversation series led by various college professors! Come Sail Away: Earn your sea legs and learn how to sail! A cruise with Star Clippers comes with knot-tying classes and navigation lessons. Luckily there’s also a crew of helpful deckhands to give you some time off for R&R, too! Cruise along the Nile River: Travel back in time aboard Uniworld’s Egyptian excursion where you can learn to read hieroglyphics, explore tombs of ancient kings and see the pyramids. Immerse yourself in the musical arts: Many river cruise itineraries focus on stops in Budapest and Vienna. If you’re a Mozart fan, a river cruise must be on your bucket list. Wine-Down: Experience wines from around the world with wine pairings and Silversea offers wine centric voyages for the wine connoisseur in you. SeaDream Yacht Club immediately sets itself apart by insisting that what they do is not cruising at all, but is, in fact, yachting. For an exclusive educational tour with our Brownell colleagues, this itinerary embarked in Bridgetown, Barbados and sailed north to Saint Martin, making calls in some of the often overlooked ports along the way. 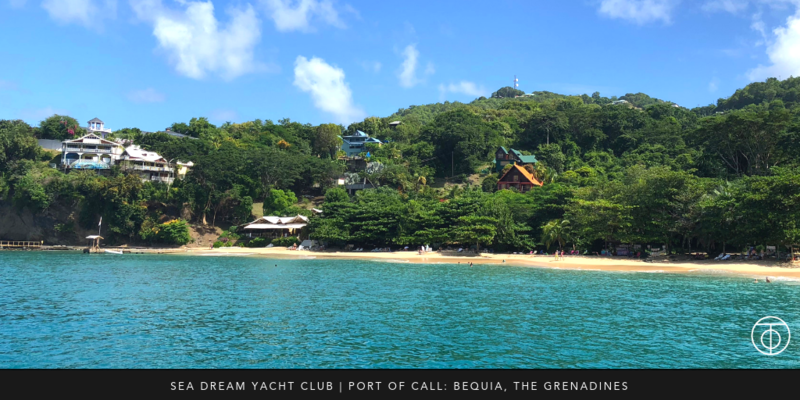 Bequia will forever be one of our top favorites! From day one after boarding one of these yachts, the distinction between cruising and yachting became perfectly clear. With 95 crew members to the 112 guests on board, each guest has highly personalized service and feels as if they are aboard their own private yacht. With only 56 staterooms each, these twin mega-yachts are perfect for seasoned cruisers who want to try something more intimate or travelers who have written cruising off in the past for being impersonal, over-crowded or stuffy (several Team Ourisman members have been guilty of making that assumption and have since been converted – check out Jessica’s blog about how she became a cruise convert!). 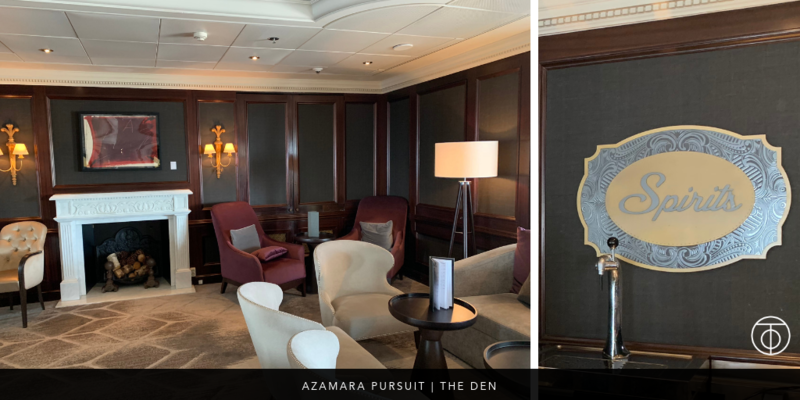 Aboard the SeaDream I & II guests find their every need met with highly personalized service, prompt staff and an intimate feel that is hard to beat. While the smaller size of the ships may give some travelers pause, there is no shortage of ways to spend your days at sea. Each yacht features an inclusive open bar, all ocean view staterooms & suites, a downright beautiful pool, and incredible cuisine to impress even the most elitist of foodies. The yachting twist on a classic cruise lends itself to the experiences the staff can provide as well. 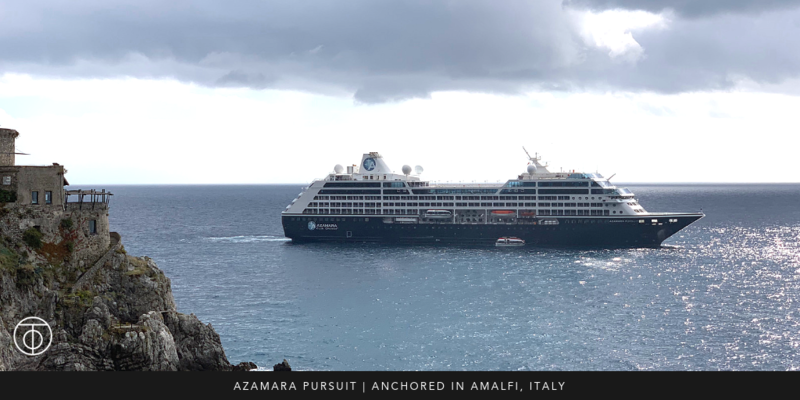 Because there is such a limited number of passengers SeaDream is able to pull out the stops for some pretty impressive and exclusive experiences. From a private champagne beach party on Mayreau, a tiny island in the Grenadines, to a Creole cultural experience in Rodney Bay in St Lucia, each itinerary’s activities are carefully selected to highlight the culture of the islands you visit while ensuring each one will be cemented in your memory. If you are looking for an exclusive experience that will follow you home, SeaDream certainly has you covered! Truly, the only disappointment we felt during our time aboard SeaDream I was when we had to disembark! Check out the Caribbean itineraries SeaDream has for 2019 & 2020 as well as their Mediterranean and Transatlantic voyages! 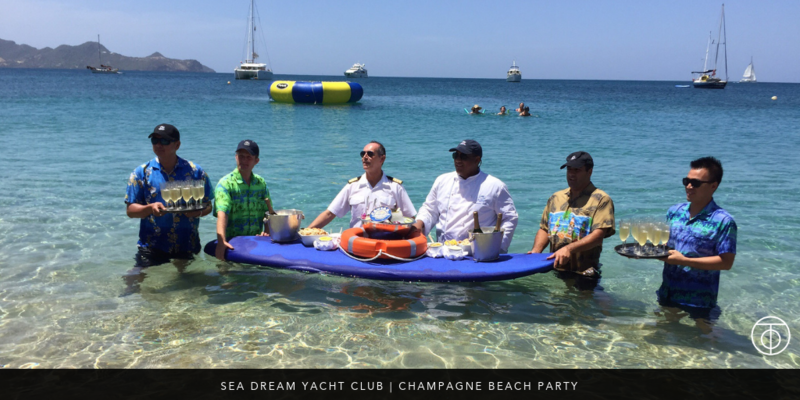 Be sure to contact Team Ourisman to help plan your yachting experience with SeaDream! Do you ever wonder about the work we do behind the scenes? Have you ever asked why you should work with a travel advisor instead of some hotel booking website? One of our clients recently asked what value we provide and he got his answer! Recently, an Ourisman Travel client, celebrated his 40th birthday with a group of friends in Las Vegas. After a consultation phone call, we explored the best options for this clients’ celebration wish list and discussed details including specific dining and entertainment needs. We debated the merits of different hotel locations in Las Vegas, ultimately settling on the Aria Resort & Casino for its central location, excellent access to shopping, and great variety of dining options. To be perfectly honest, we usually wrinkle our nose at requests for Las Vegas bookings and we have a firm policy that we will not accept inquiries for Vegas from first-time clients. The mega hotels in Las Vegas are so volume oriented that we cannot always be confident in the experience that is delivered to our clients. We don’t want to leave clients playing a game of hotel service roulette and we prefer to keep the gambling on the casino floor, so we are always extra cautious when taking on a Vegas booking. 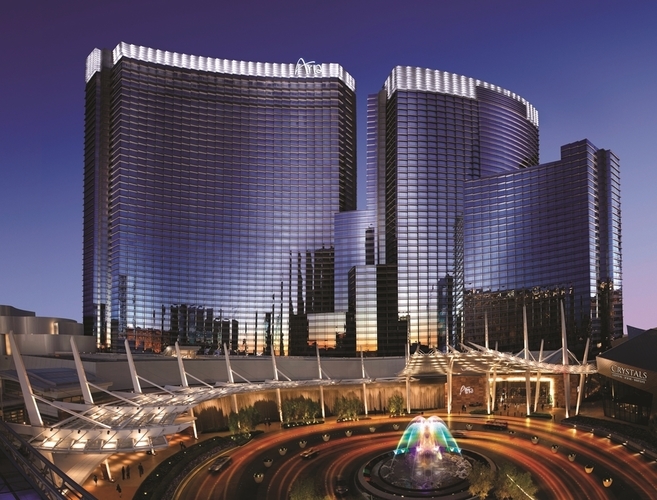 Two $30 breakfast credits per room, per day, redeemable at ARIA Buffet, ARIA Café, and In-Room Dining. One (1) $50.00 Food & Beverage credit & one (1) $50 Spa credit per room, per stay. ARIA SKY SUITES BOOKINGS: Guests are extended complimentary round trip airport limousine transfers in a fuel alternative limousine, Pre-Arrival Concierge contact, light refreshments in Sky Suites Lounge throughout the day and $5.00 daily WiFi credit applied to Daily Resort Fee, subject to applicable tax. We booked five deluxe rooms for our client’s birthday celebration; he took his confirmations and went on his merry way! But that is where our real job begins. We know you can book these hotels through multiple avenues, and we’re not even your only option for getting those coveted Virtuoso amenities, but Ourisman Travel prides itself in our post-booking VIP process. Our VIP Process: Every single booking that we make is supported by a personalized pre-arrival letter to the hotel staff. The letter helps them prepare for your arrival and more. Our goal is to help our partners think creatively about how to make your stay extra special. We operate as detectives when we are working with our clients, making note of every little detail of your travel preferences. Food allergies and bedding preferences are covered in our client preference forms, but we also pay attention to mentions of things like a favorite meal, wine, movie, book, car, color, flower, etc. etc. All of this are noted in our client profiles and we weave these details into our pre-arrival letters. These letters are the one true travel product that Ourisman Travel owns and controls, and we take them very seriously. We babysit these letters and make sure we receive an acknowledgment of receipt from the hotels; we won’t let them get lost in the void of someone’s messy inbox. 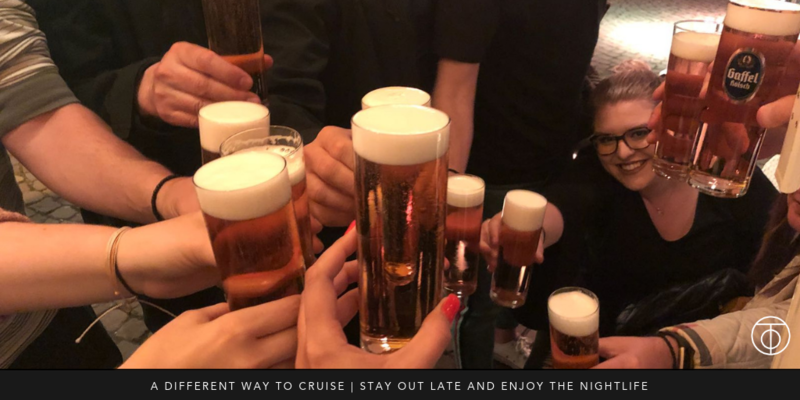 When our group arrived at the Aria, the hotel had already received our pre-arrial letter and were prepared with all of the details about the reservation and the birthday celebration. On arrival, the group enjoyed the VIP MLife check-in experience, a fast-track perk that meant they didn’t have to stand in a long queue and could enjoy their rooms as quickly a possible. Each room received their full Virtuoso amenity package and our birthday guest received a special celebratory welcome gift to wish him a happy birthday. PRO-TIP: If you are having an issue during your hotel stay, please alert us immediately. Also, keep in mind that the realities of time zone differences and business hours may prevent us from responding immediately. We’re here to help as your travel advisor from afar, but the people who can quickly correct any mishap are right there at the hotel; please also be your own advocate for a positive experience and make sure you communicate your issues and needs to the hotel staff. We quickly got to the bottom of the bad experience. The client wanted to be generous to his friends and foot the bill for all rooms. We had already allocated individual names to each room to create a smooth check-in experience upon arrival, but created unexpected confusion at check-out. We could have done a better job here to understand the clients motivations and communicate the client’s intentions. A glitch in billing for one of the rooms led to an erroneous overcharge and further frustrations. Now that we understood the problem, Team Ourisman went into action! We involved all of our Aria contacts to resolve their mistake. We take billing errors seriously and wanted to get a refund for the guest ASAP. That’s exactly what we accomplished! Within two hours of making contact, the refund was confirmed, as well as a complimentary upgrade to an Aria Strip View Suite on their next visit. That is the power of a strong partnership! So… What value did we ultimately provide that software could not? We offered our consultation services and provided a personalized recommendation for the group, drawing on our expert hotel and destination knowledge. We provided Virtuoso amenities with real monetary value: each room received $60 per room to put toward breakfast, $50 in food & beverage credits, and $50 in spa credits – that’s a total $160 in savings for each room. We were available as advocates to get get quick results when things didn’t go as planned at check-out. We prevented the client from wasting hours on hold trying to reach the right person to explain his problem and get his refund. Many people would have given up before they got that far. The complimentary upgrade for the next trip to Las Vegas is just icing on the cake! Today was a hard day in my life as a travel advisor; it is never fun when you feel you must justify your own value. But, this experience served as a great reminder of all of the good work we do. We don’t just offer amenities and perks to our clients; we work every day to truly elevate your precious travel experiences. We act as advocates while planning your trip and during the trip itself. We especially love connecting when you return home, even if it means we must spend the day advocating for you further. We also hope that will lead to the next trip and the cycle will continue! On to the next Adventure! When Horst Schulze, former president of Ritz Carlton. retired at the age of 62, he found he wasn’t ready to retire. Though intimately familiar with running a typical luxury hotel, he was intrigued by a question: how to create a hotel to appeal to ultra-luxury clients. Out of that challenge, the concept of Capella came into being. In an ultra-luxury hotel, the surroundings would of course be beautiful, but ultra-luxury guests want something more — specifically, a highly individualized stay. He conceived Capella hotels to be boutique properties with 50-100 guest rooms. With no formal check-in, guests would go straight to their rooms on arrival. Although these hotels would be small, they would provide the full range of spa, dining, and exercise facilities that far larger luxury properties offer. 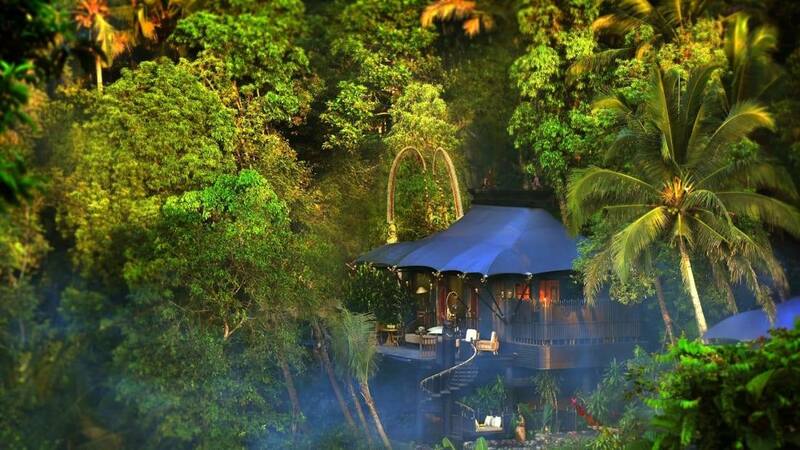 Capella Ubud — a new luxurious tented camp in the forested areas outside of Ubud, the artistic center of Bali. Each accommodation includes its own terrace and salt-water plunge pool. Each couple or family enjoys 1,862 square feet of private space. Some tents offer views of the rice paddies and rainforest, but most desired are those overlooking the winding Wos River. Best for active travelers, the hillside location does also mean there are some stairs are involved in getting around. A weekly schedule of complimentary excursions is also provided. Complimentary laundry services (four pieces per guest per day), and guests enjoy the 24/7 services of a personal assistant. 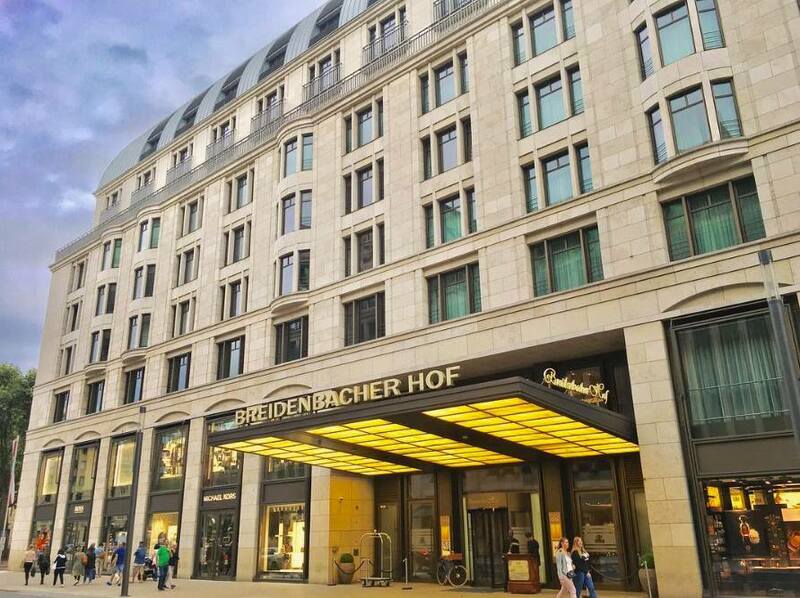 Capella Düsseldorf, the Breidenbach Hof, has been voted the #1 hotel in Germany three years running. The reason to stay here — the hotel’s strategic location. Stepping out the front door, you’ll find the iconic Königsallee, the 5th Avenue shopping hub of modern Düsseldorf. Stepping out the back door you’ll find entry to the cobblestoned streets of the old town. 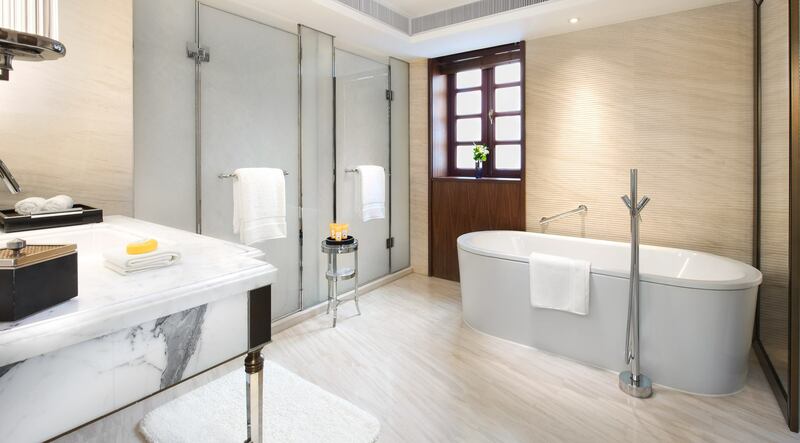 Capella Shanghai — set apart from the corporate feel of Pudong or the hectic pedestrian traffic on the Bund, Capella is a retreat nestled under the leafy Plane Trees of the French Concession. A row of Shikumen townhouses have been transformed into one, two and three bedroom villas. Historic exteriors have been preserved, while the interiors of these unique buildings are graced by newly designed contemporary residential space. All of this surrounds a peaceful central courtyard, a quiet and restful urban retreat in the heart of a city of 24 million. Capella Singapore — Singapore is a vibrant, modern city with world-class food and shopping. Visitors seeking a quiet place to renew after a day shopping or an evening enjoying the downtown nightlife find that on Sentosa Island. A 15 minute taxi ride away from downtown, Capella is set on 30 acres of landscaped grounds overlooking the sea. Two colonial bungalows from the 1880’s create the resort’s sense of place and history. The recent summit between President Trump and Leader Kim Jon-un was held at Capella. 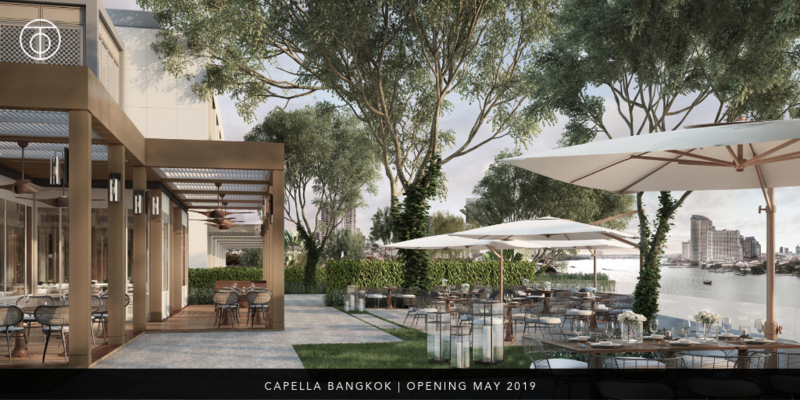 Capella Bangkok — Opening in 2019, this Capella is located on the Chao Phraya River. Adjacent to the elevated train station, guests can hop a quick ride into central Bangkok to shop or dine, totally avoiding the crowded rush hour traffic. Guests in one of Capella’s river villas will enjoy their own private boat on which to explore the river, while all guests have access to regular river transportation by the hotel’s boat, by far the quickest way to reach the Imperial Palace. And, now, Capella has a new investor and a new injection of cash that will see this collection grow further. The Maldives (opening in 2020) and Sydney (opening in 2021) are on the horizon and we hear there will be more announcements soon for other Asia-Pacific developments – stay tuned! With Capella’s renewed investments in their hotel’s they also have renewed energy in developing strong relationships. 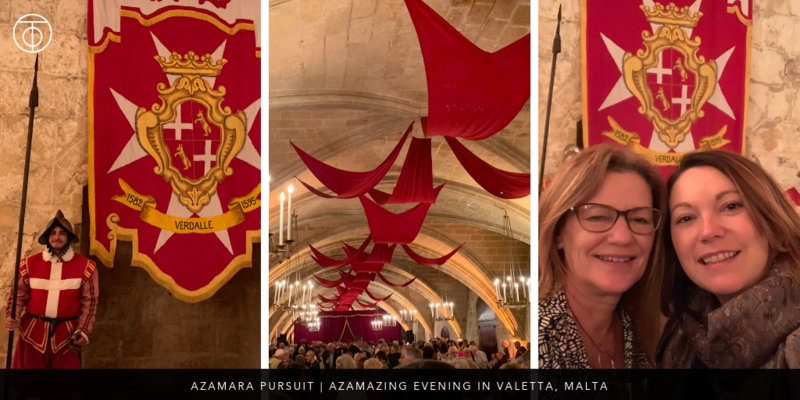 Jessica and I were delighted to have an opportunity to reconnect with our friends at Capella during the 2018 Virtuoso Travel Week and we are confident we will be able to work with Capella to deliver high levels of extra attention and VIP recognition for our clients. 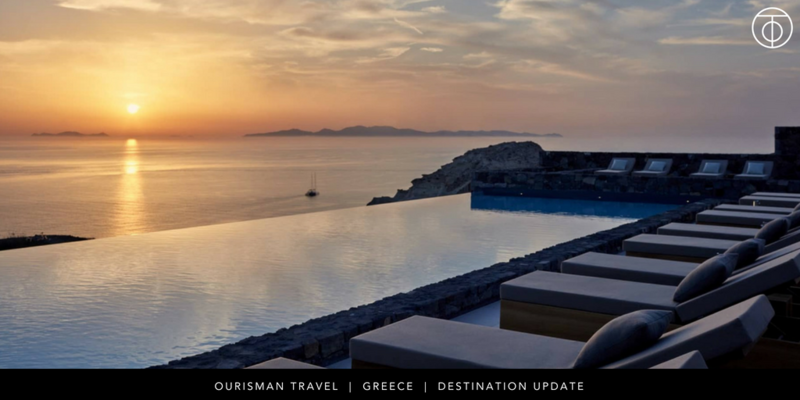 By far the biggest news a Virtuoso Week is the opening of the 5th property at Canaves Oia called Epitome, pictured above. I met with Markos Chaidemeos, the managing director, and he is very excited to finally have a family-friendly option within his portfolio. This hotel is not on the cliffside like the others; instead, it is located on the northern part of Oia (still within walking distance of town) where there’s a little more space to spread out and far fewer safety concerns for the kids. Epitome features suites and villas, all with private pools. The 2-bedroom pool villas are the winners here – finally, a true Santorini luxury experience is available for families! We know our clients are so loyal to the Four Seasons brand and we’ve been anticipating the re-opening of the re-imagined Astire Palace for over a year already. There have been some delays and the new projected opening for the Four Seasons Astir Palace is early 2019. We’re watching this one closely! When it opens, we know this will quickly become a best-seller. The convenient location outside of Athens will make this a no-brainer for the start of any Greece luxury travel itinerary – the resort will be the perfect spot to recover from jet-lag. We’re most excited about the opportunity to add golf to a Greece itinerary and the resorts private marina will make sailing excursions a breeze. The new suites with private pools are a nice bonus, too! Our good friends over at Janine Cifelli Representation have put us on to a new member of their portfolio, Katikies Resorts & Club. This collection of hotels includes the newly opened Katikies Mykonos along with Katikies Santorini, Kirini Santorini, Chromata Santorini, Sun Rocks, and Kirini Mykonos. The largest hotel in the portfolio is 35-rooms so you can count on a true, boutique experience here. The newest addition, Katikies Mykonos, is a great option if you’re looking for exclusivity and seclusion without giving up on style or amazing seaside views! These hotels are not part of the Virtuoso network, but we work closely with JCR to be sure our clients get the best value and VIP consideration. If you’re looking for the party in Mykonos, head to the Belvedere Hotel where you can easily stumble home after a few too many shots of Ouzo. The Belvedere also features a Nobu on site. For a family-friendly option on Mykonos, look to the Myconian Villa Collection! We’re Predicting that Corfu will be the buzz-worthy destination of 2019 and there are several new hotel developments to help push travelers’ interests. The one prominently on our radar is Angsana Corfu, projected for Q1 2019 opening. This family-friendly resort will be nestled into the hillside with 199 rooms and 50 private pool villas and will feature a private beach club, spa, kids club, multiple dining venues, and a rooftop lounge. Also on the radar in Corfu is the adults-only Domes Miramare, a Luxury Collection Resort, which opens August 2018. Mykonos and Santorini are popular for a reason! They offer amazing experiences and some of the best luxury hotel options anywhere in Greece, but that also comes with a price in both rates and crowds. So, we recommend including a lesser known region of Greece in your itinerary to make sure you get the best balance. Last year, we told you about Crete. This year Naxos has been our go-to island for a little something different; it is an especially good fit for foodies. The Naxian Collection and Naxian on the Beach are our hotel picks here with high reviews from our travelers. 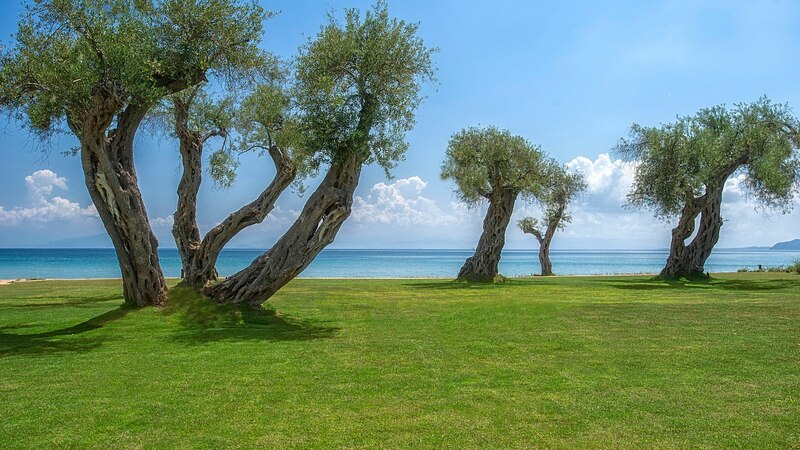 For families, we recommend Paros and Antiparos, which has a nice villa collection, or Halkidiki where you’ll find the new member to Virtuoso, Sani Asterias at Sani Resort. Calm, shallow ocean waters and fun, kid-friendly activities like the resort’s unique soccer camp in partnership with players from the Chelsea football club make this resort a perfect fit for families. Nearby UNESCO heritage sites, and new parks and museums in Thessaloniki will make this area a unique cultural destination, as well. Folegandros is great for anyone looking for something charming, traditional, and authentic; stay at Anemi . For a good dose of drama, look to Milos with its French influences and dramatic coastlines; book a private yacht for a true luxury experience. The number of travelers visiting Greece has doubled over the past few years and there is no denying that Greece is a hot destination and we felt a few growing pains in the form of planning delays and inconsistent service during our clients’ trips this year. In 2018, we’ve supported over 20 departures to the destination and we expect this number to continue growing. Our preferred on-site for local support and trip logistics is Eclectic Greece and they are investing in stronger relationships with local transportation companies and expert guides to help us make sure you get a unique, personalized experience with the smoothest itinerary operation possible. For 2019, you can expect a stronger (and stricter) portfolio of services on offer and availability will continue to be a challenge. We estimate that our top hotel picks will be sold out for Summer 2019 by February. So, if a trip to Greece is on your radar, start your planning early!